Bark design large band with smaller polished band in Sterling Silver cuff design bracelet. 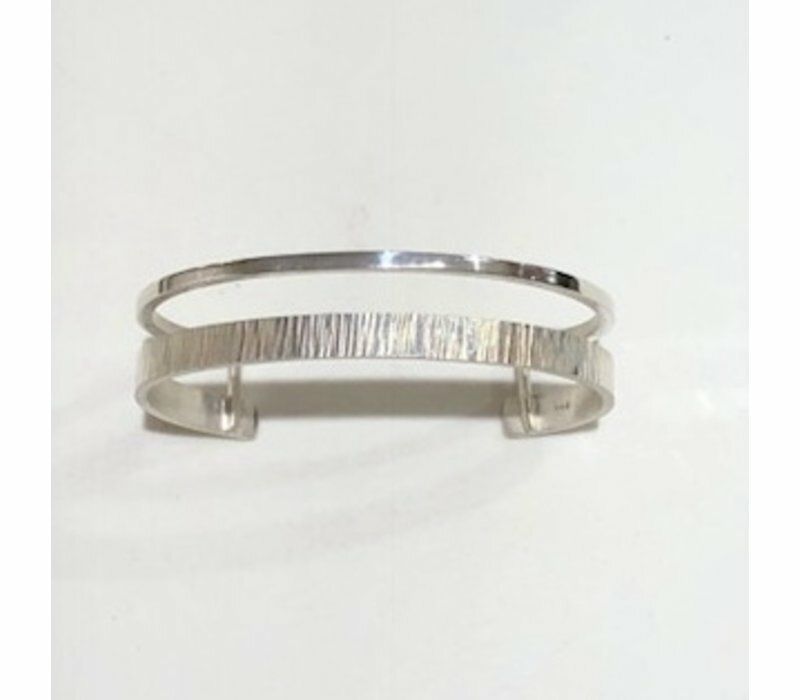 This simple everyday cuff has a satin wide band with a hammered texture on its sides and a thin band hammered on the top. The hammered texture is polished to glint from every angle. Hand crafted in sterling silver and available in size large.